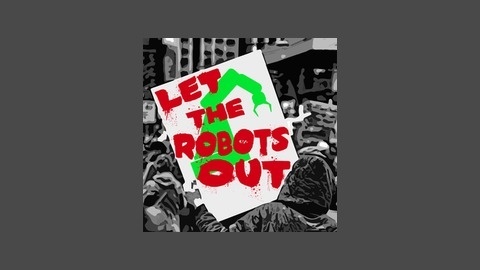 Let The Robots Out is a comedy debate podcast where, every Monday, three best friends get together to debate life toughest questions. Maybe Chris will accept Quidditch isn't a real sport? Maybe Andy will stand up to wipe? Maybe Dave will give in to the power of Pepsi Max? Maybe they will finally be able to agree on something? Welcome to Let The Robots Out. 22. Wait, Frozen Isn't Pixar? This time on Let The Robots Out, the guys debate which Pixar movie is the best! Of course, they couldn't agree, so sit back and enjoy 53 minutes of debate about the best* animated movies in the world! Also, Chris really goes off on one about prequels, Andy fingers some hummus and Dave hates Scotland. Please tweet at us @LTROPodcast. We'd love to hear from you! Also don't forget to subscribe on iTunes! 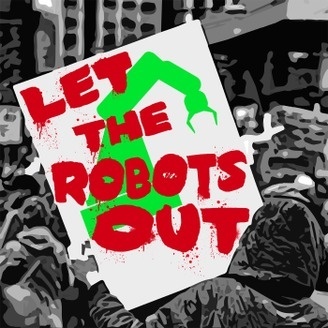 Let The Robots Out. 18. Five Get Into Trouble: Bang, Bounce or Bathe?